Molinari became Italy’s first major champion when he won the British Open at Carnoustie, finishing two clear of four players — including Justin Rose and Rory McIlroy. He followed that by helping Europe regain the Ryder Cup at Le Golf National, winning all of his matches alongside Tommy Fleetwood before beating Phil Mickelson in the Sunday singles. 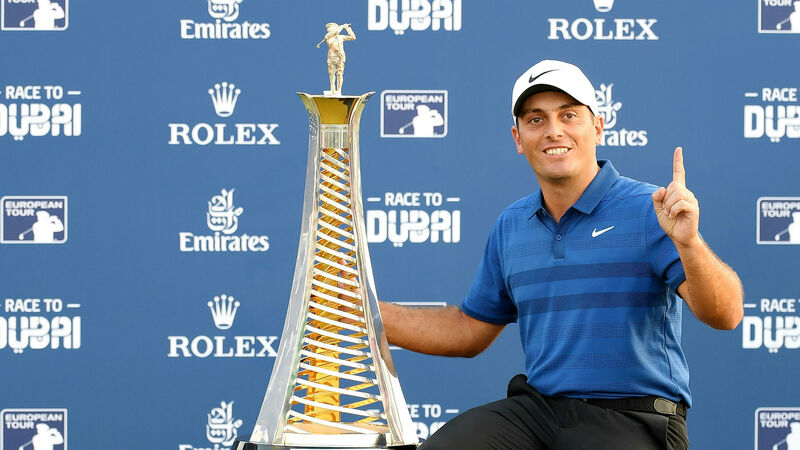 Molinari, 36, also finished atop the European Tour’s money list, seeing him win the Race to Dubai ahead of Masters champion Patrick Reed and 2017 champion Tommy Fleetwood. “It is a huge honor to be named the European Tour Golfer of the Year,” Molinari said. “So many great names have earned this honor and I feel very proud to join them. “It is an award that means a lot to me and is a nice way to end a very special year. Winning at Wentworth [in the BMW PGA Championship], in one of our biggest events, gave me a lot of confidence for the summer, but obviously winning The Open at Carnoustie, becoming my country’s first major champion, was incredible.